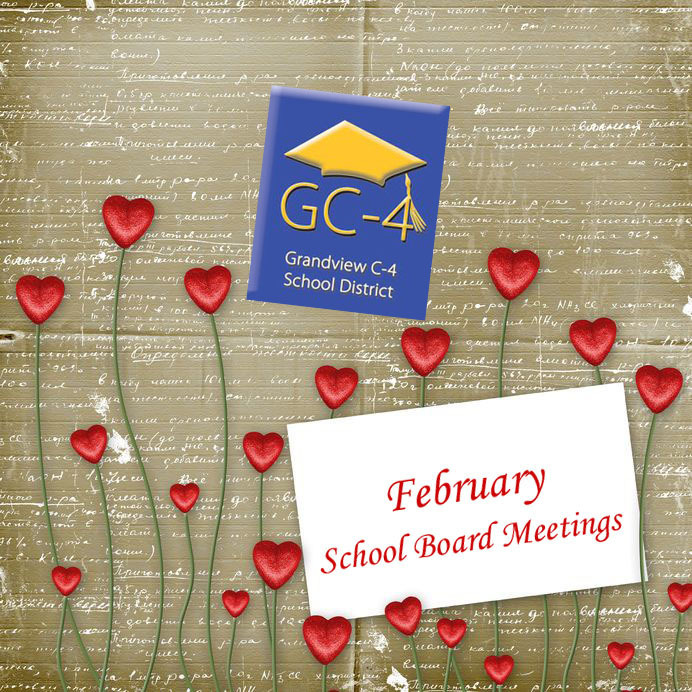 The Grandview School District Board of Education will meet Tuesday, Feb. 21, at 6:30 p.m. In addition to routine items on the agenda, such as hearing reports from superintendent and the finance committee, there are several items on which board members plan to take action. One action item is reviewing an evaluation of a program for homeless and migrant students. Also, board members will consider new policies and discuss a supplemental audit of district finances. The board meeting, which is open to the public, will take place at the Board of Education Offices; 13015 10th St.; Grandview, MO 64030.